Hey guys! Just settling into my new school and surroundings, and therefore the dearth in new material. 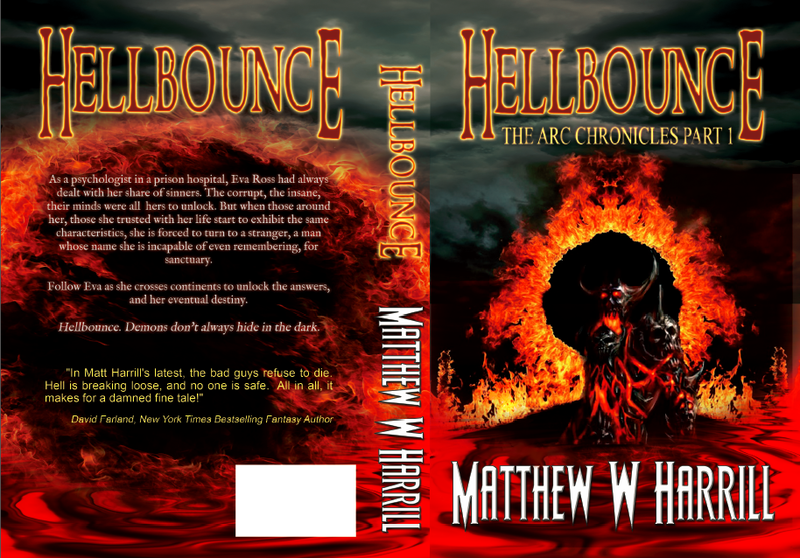 But here's a guest post from Matthew W. Harrill, whose action filled book has just hit Amazon! Demons don’t always hide in the dark. Rating: 3.5 stars. Goodreads Summary: On a damp October night, beautiful young Ashley Cordova is found dead in an abandoned warehouse in lower Manhattan. Though her death is ruled a suicide, veteran investigative journalist Scott McGrath suspects otherwise. As he probes the strange circumstances surrounding Ashley’s life and death, McGrath comes face-to-face with the legacy of her father: the legendary, reclusive cult-horror-film director Stanislas Cordova—a man who hasn’t been seen in public for more than thirty years. So I was talking the other day about discovering new authors and new ideas in literature. Here's something very YA friendly, and honestly, if it were released by a major YA publisher, I can see this book doing very very well in the YA demographic. As is, Alabaster by Caitlin R Kiernan has a comic-book adaptation that is equally wonderful, but let me just take a moment to review the book. Warning though: it was difficult to get my hands on this one. An albino girl wanders the sun-scorched backroads of a south Georgia summer, following the bidding of an angel - or perhaps only voices in her head - searching out and slaying ancient monsters who have hidden themselves away in the lonely places of the world. Remember me? How are you, dear follower? Drop me a line so it doesn't feel like shouting out into empty space. I've missed book-blogging, and hope to get back to it, but I see a few of you have left, there are plenty new faces around, and the YA blogging world is still its fiiiiiine self. I’m incredibly busy these days, trying to fit in projects and final semester and job interviews and such into a schedule made worse by my writing commitments, but I had to talk about what I was reading and my relationship with Young Adult literature in general. I haven’t been reading very much YA these days, basically because I stumbled across writers in an adult genre who I enjoy reading. Granted, I am still very much enamored by fantasy and speculative fiction, and I have been reading a lot of what is called “slipstream” or “weird fiction”, the likes of which you don’t find a lot in YA.